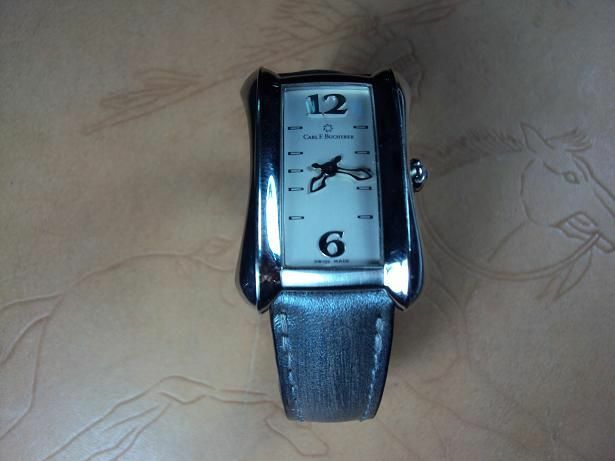 TimeZone : Sales Corner » FS:Cheergiant custom straps SVW285~298 includ IWC,OMEGA,CARL F. BUCHERER,Chopard,CORUM,SEIKO. 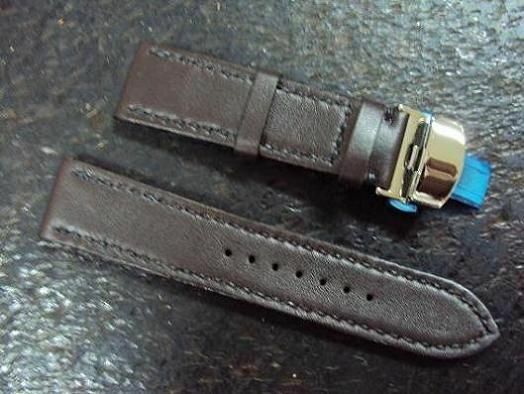 Here are some custom straps of various brand watches SVW285~298 include CARL F. BUCHERER, Chopard Mile Miglia, CORUM, Dunhill, EMPORIO ARMANI, IWC Portofino, OMEGA speedmaster, SEIKO, STEINHART. 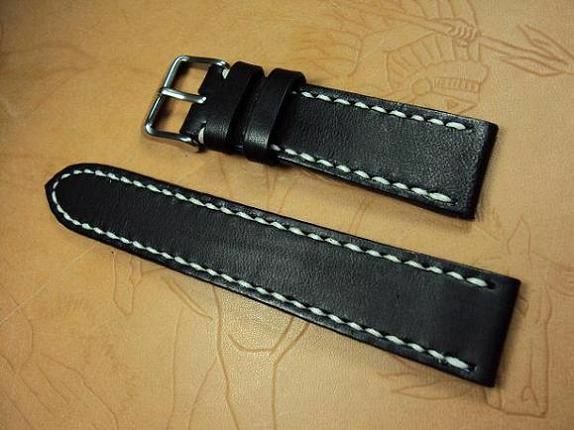 Each one of my posting straps could be made a new custom strap according to your custom strap order. 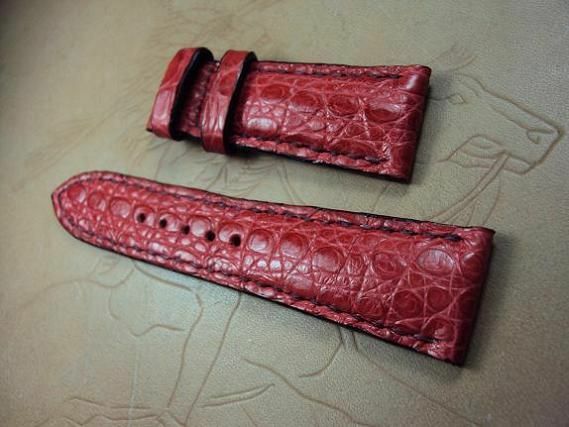 Svw285, CARL F. BUCHERER Custom strap, 17x14mm, 62x102mm, thick 4.0mm taper to 2.3mm, red padded ultrasoft cowskin strap, red stitch. 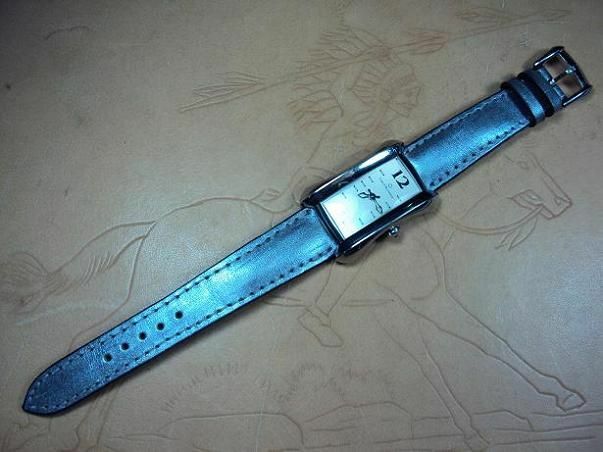 The thick 4.0mm would bear the heavy watch, and the thick 2.3mm at the tail of the strap would be flexible and comfortable. The heavy padded cowskin strap is priced at $ 140 USD, now charges the promotional price at $ 90 USD including registered airmail worldwide shipping. 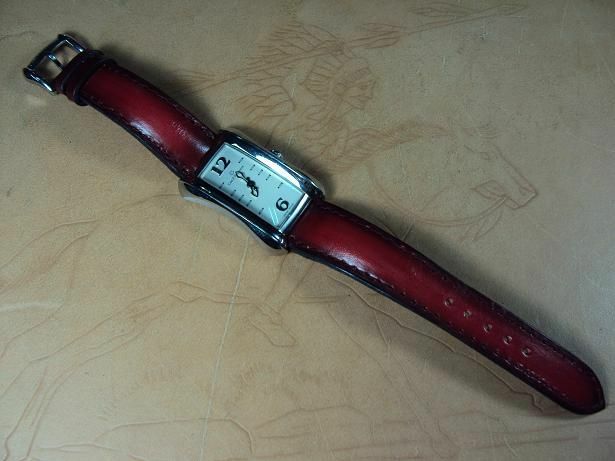 Svw286, CARL F. BUCHERER Custom strap, 17x14mm, 62x102mm, thick 4.0mm taper to 2.3mm, silver padded ultrasoft cowskin strap, red stitch. 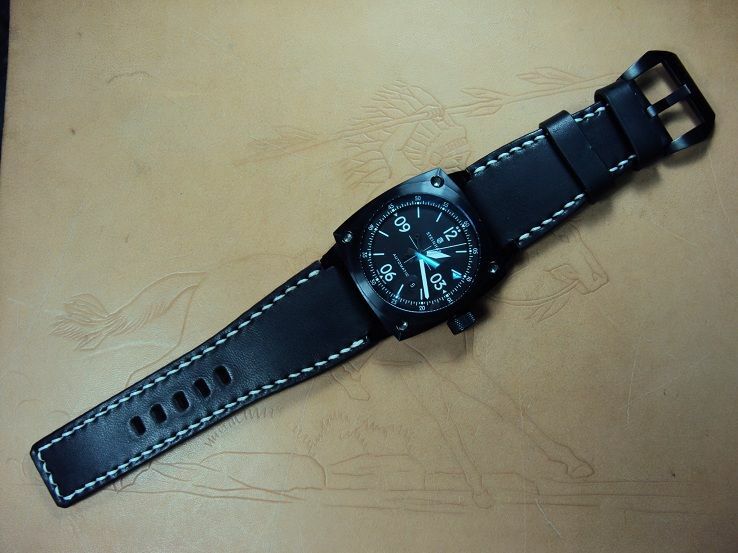 Svw287, Chopard Mile Miglia custom strap, 20x18mm, 80x140mm, thick 3.0mm tape to 1.8mm, ultrasoft black vintage cowskin strap, white stitch. 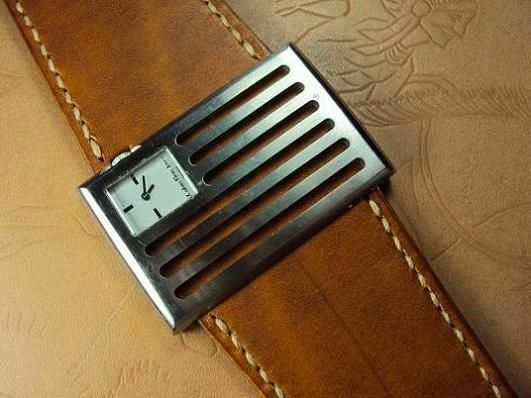 The thick 3.0mm would bear the heavy watch, and the thick 1.8mm at the tail of the strap would be flexible and comfortable. 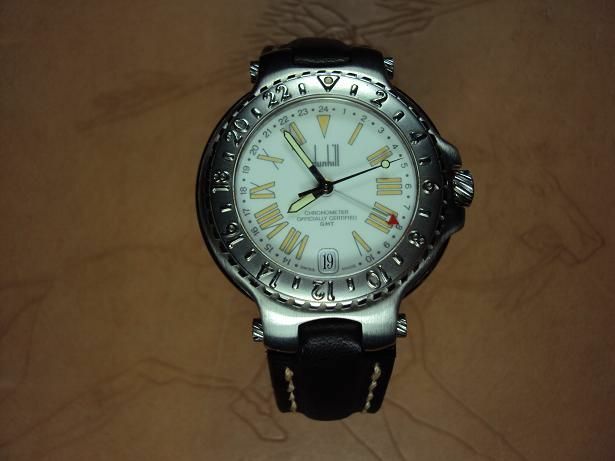 The Chopard Mile Miglia custom cowskin strap is priced at $ 140 USD, now charges the promotional price at $ 90 USD including registered airmail worldwide shipping. 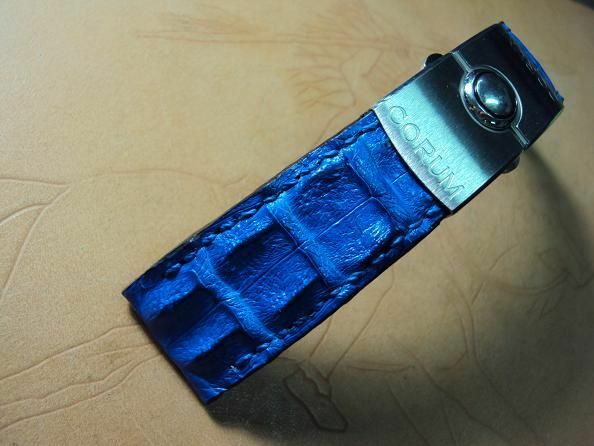 Svw288, CORUM custom deployant strap, 24x20mm, 60x65mm, navy blue big horn croco strap. 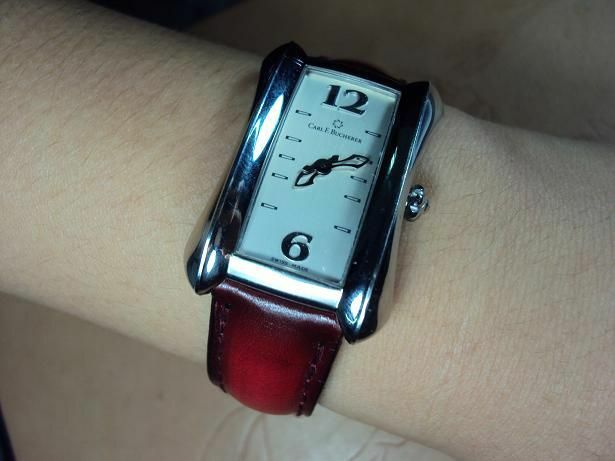 Please notice that this CORUM custom deployant strap service is limited only for renewing the CORUM old strap that has worn. 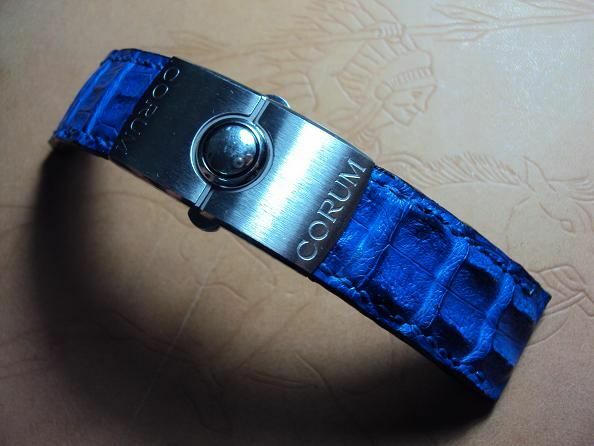 The CORUM custom big horn croco strap is priced at $ 400 USD, it charges the promotional price at $ 300 USD including registered airmail worldwide shipping. 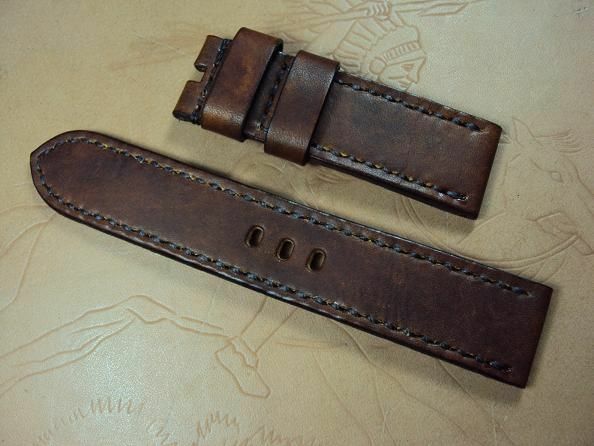 Svw289, Custom strap, 40x33mm, 220mm, thick 3.0mm taper to 2.9mm, coco honey brown cowskin strap, cream stitch. 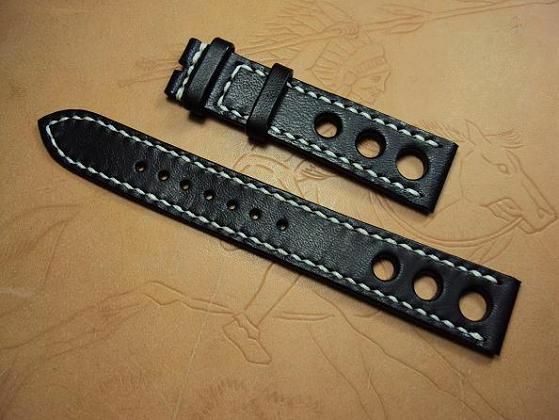 Please notice that this Svw289 custom strap service is limited only for sending me the watch to produce the custom strap. 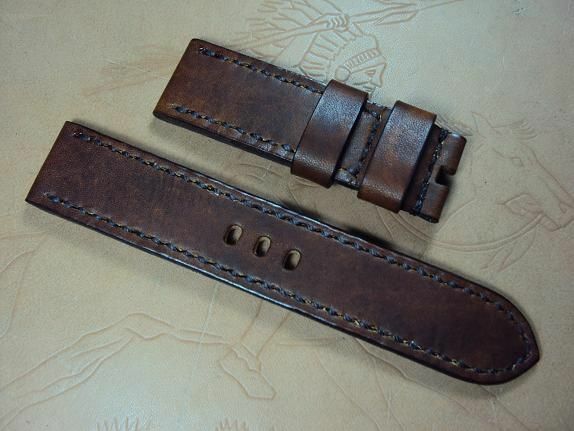 The Svw289 custom cowskin strap is priced at $ 160 USD, now charges the promotional price at $ 110 USD including registered airmail worldwide shipping. 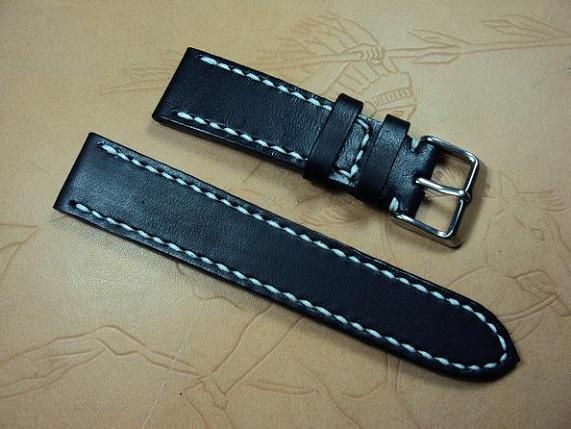 Svw290, Custom 50681, 22x20mm, 75x120mm, thick 4.5mm taper to 2.8mm, dark brown soft cowskin strap, black stitch. The deployant cowskin strap is priced at $ 130 USD, now charges the promotional price at $ 80 USD including registered airmail worldwide shipping. 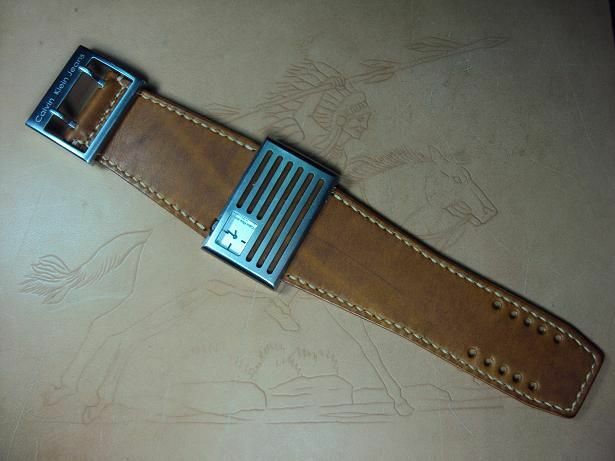 No including the buckle, it's an optional item charges extra $ 15 USD. 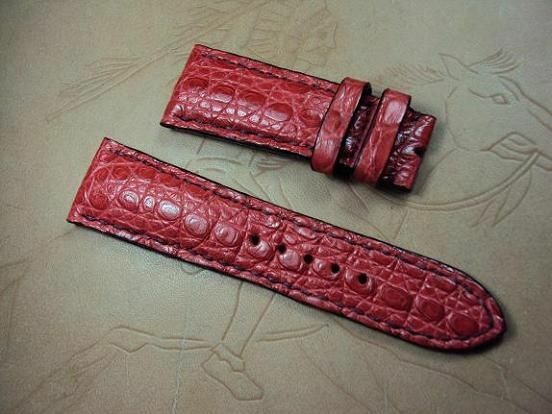 Svw291, Custom strap, 22x18mm, 60x100mm, thick 4.5mm taper to 2.4mm, red croco strap, dark red stitch. 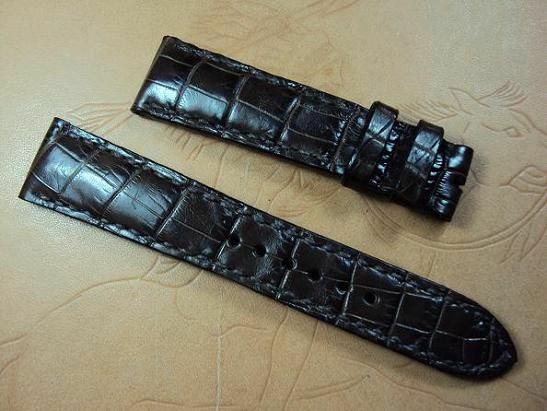 The heavy padded croco grained belly strap is priced at $ 200 USD, now charges the promotional price at $ 150 USD including registered airmail worldwide shipping. 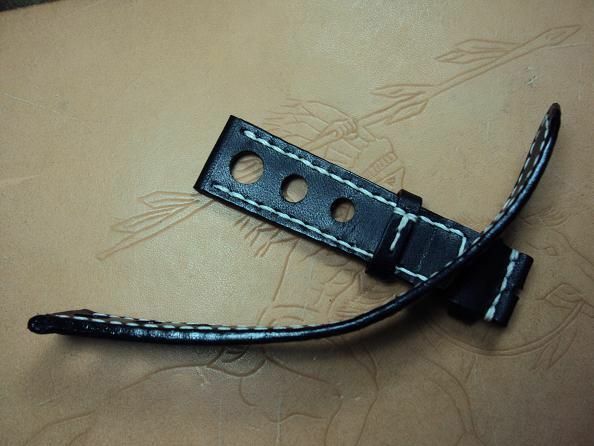 Svw292, Custom strap, 20x18mm, 65x110mm, thick 3.0mm taper to 2.8mm, black ultrasoft cowskin strap, white stitch. Svw293, dunhill custom deployant strap, 8.6(19)x16mm, 75x115mm, thick 5.0mm taper to 1.8mm, black ultrasoft cowskin strap, cream stitch. 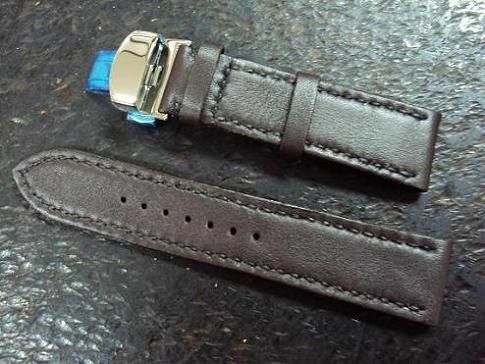 Please notice that this Svw293 custom strap service is limited only for sending me the old strap to produce the new custom strap. 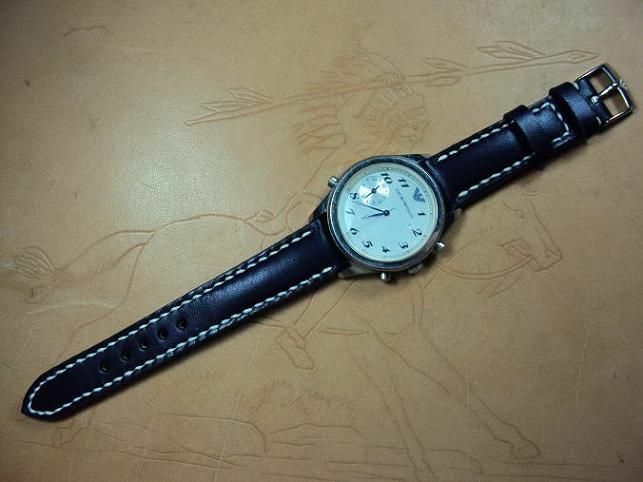 The notched lug end heavy padded dunhill custom deployant cowskin strap is priced at $ 160 USD, now charges the promotional price at $ 110 USD including registered airmail worldwide shipping. 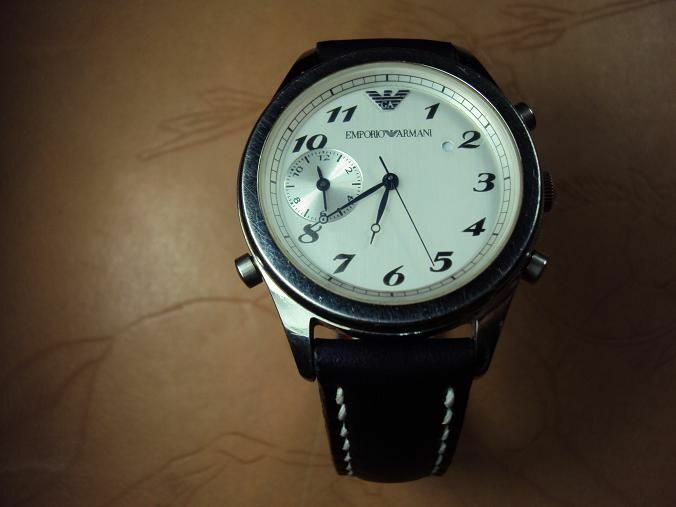 Svw294, EMPORIO ARMANI custom strap, 18x16mm, 65x115mm, heavy padded dark blue cowskin strap, cream stitch. 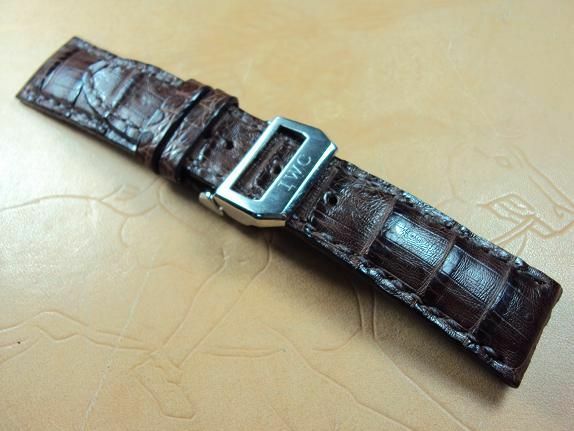 Svw295, IWC Portofino custom deployant strap, 22x18mm, 65x110mm, heavy padded dark brown croco strap, dark brown stitch. 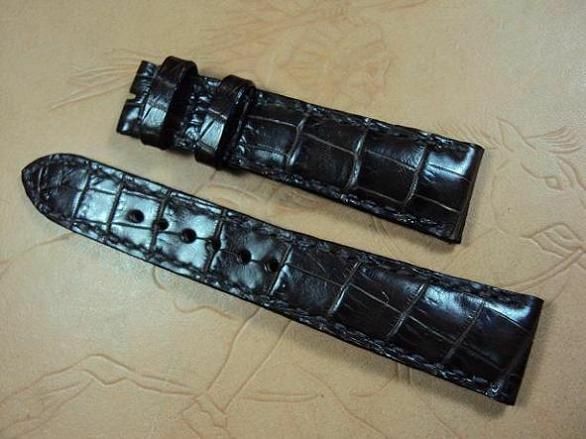 The heavy padded croco belly strap is priced at $ 200 USD, now charges the promotional price at $ 150 USD including registered airmail worldwide shipping. 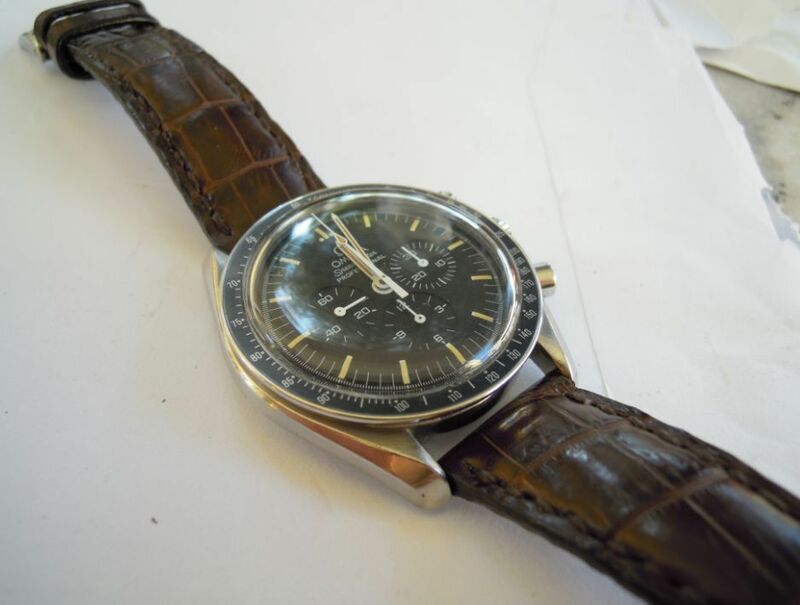 Svw296, OMEGA speedmaster custom croco strap, 20x16mm, 75x115mm, thick 4.5mm taper to 2.5mm, heavy padded dark brown croco strap, dark brown stitch. 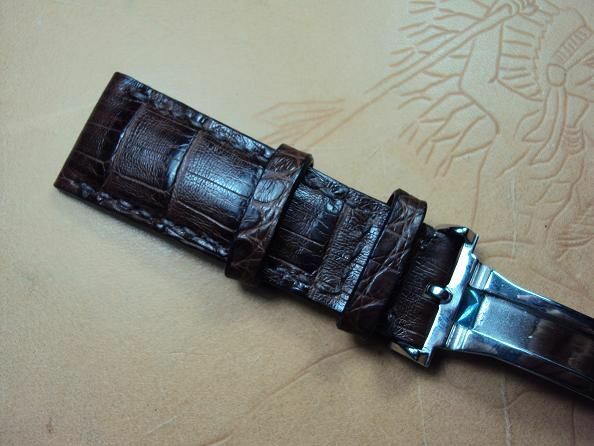 Svw297, SEIKO Custom 10318, 22x22mm, 75x125mm, thick 3.8mm taper to 2.8mm, honeybrown vintage cowskin strap, dark brown stitch. 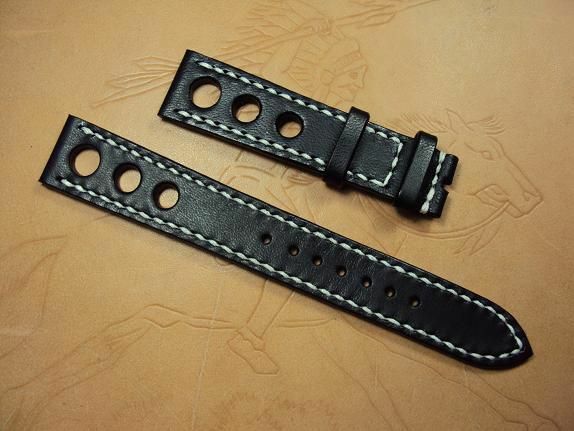 Svw298, STEINHART custom strap, 24(32)x24mm, 70x120mm, thick 5.0mm taper to 4.0mm, black ultrasoft cowskin strap, white atitch . 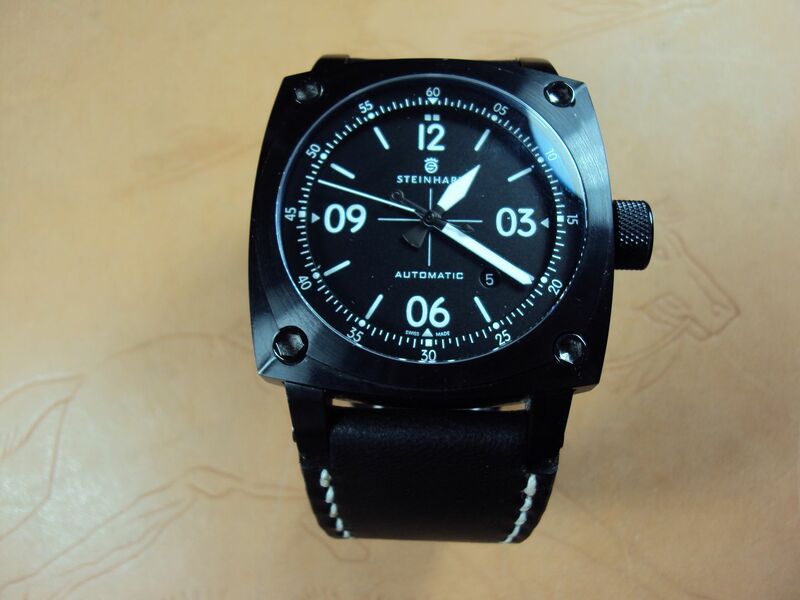 The Svw298 STEINHART custom cowskin strap is priced at $ 150 USD, now charges the promotional price at $ 100 USD including registered airmail worldwide shipping. 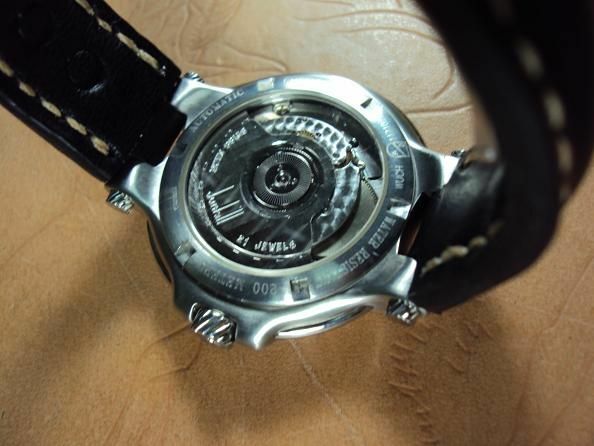 Previous Topic: FS: Submariner inspired Sterile Custom Watch..High $ Features..Low Price..$159..